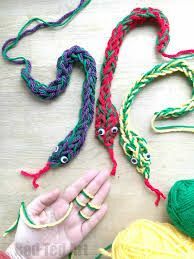 Join us as we hand knit snakes and butterflies. This is a fun introduction to the wonderful world of knitting! Come and socialize while you work on a new or ongoing project. Exchange ideas and learn new techniques as you get to know one another and work on your creations. All ages welcome. No experience required.